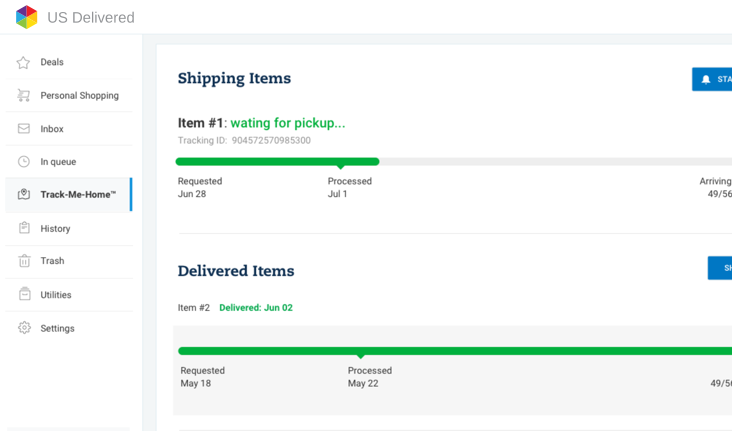 Track your package all the way home with this unique feature. 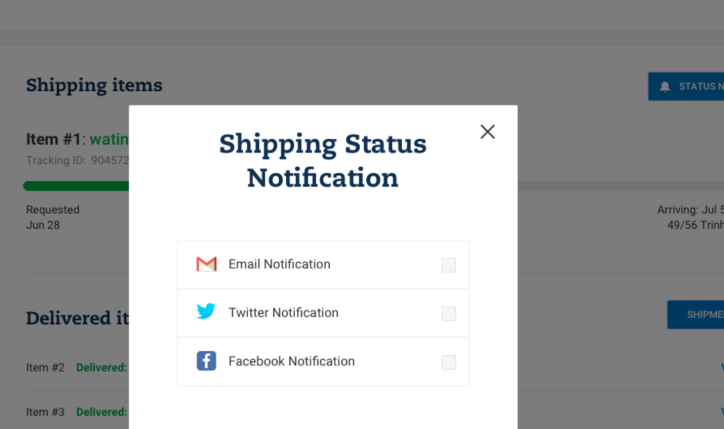 We notify you as soon as your package arrives via email, twiter or facebook. When your items are shipped, we send you a tracking number. We update you regularly with info on where your package is, as it makes its way to you. Your items are often delivered to your door in just 2 to 4 days. We guarantee that your items will reach you, or we will refund your shipping costs. We also offer an insurance of up to $100 on your packages. File a claim via support@usdelivered.com for missing shipments within 7 days of the expected delivery date. Once a claim is approved, we will replace the cost of the damaged or lost items and the international transportation costs within 3 days. Claims will be paid by check or refund to the account you used to purchase the items. If you choose to opt out of insurance, you will not have the ability to file a claim for loss or damage to your shipment.